On the 11th of August 2016, the South African Research Chair in Property Law hosted its 4th annual public lecture. This year, Professor Vincent Sagaert from the University of Leuven, Belgium, gave a lecture entitled, ‘Conflicts with ownership rights: On proportionally, abuse and balance’. 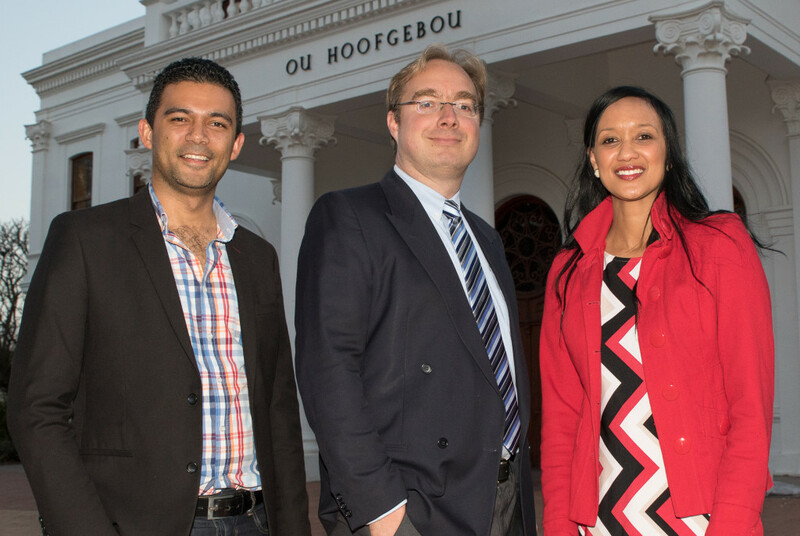 Pictured with Prof Sagaert is Dr Bradley Slade and Professor Zsa-Zsa Boggenpoel from the Faculty of Law, Stellenbosch University.